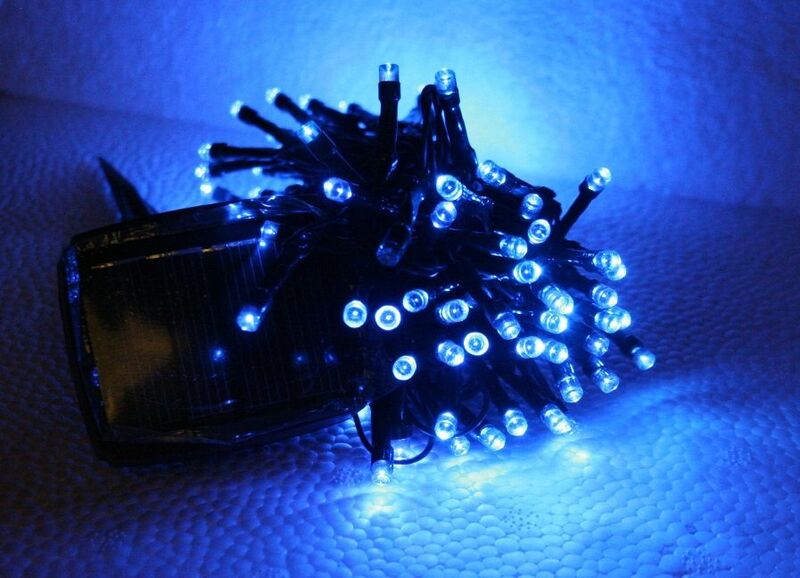 These 120 LED Blue solar string lights are 33 feet in length and can be set on either steady or flashing light. 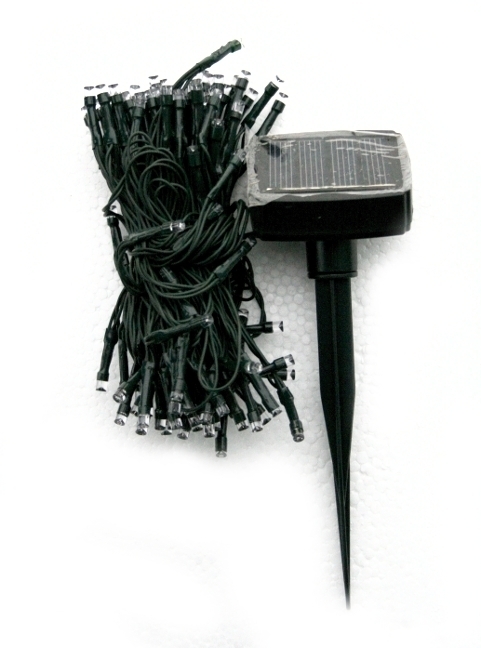 Solar string lights can easily be used for decorating for the holidays or any occasion. You can also beautify your home, lawn, trees, fence, post, pole, etc. at night. Solar string lights are an easy way to decorate without the mess or worries of electrical wires, while reducing your energy cost. They charge during the day under sunlight and at night the automatically illuminate and will shine for up to 10 hours.